Prepare for divine inspiration. Montra Nivesha, Angkor’s boutique residence, is your gateway to these magnificent temples and the perfect blend of traditional Khmer design and international amenities. Lovingly finished in wood and elegantly decorated in local antiques and handicrafts, Montra Nivesha is a home more than a hotel. Naturally, we are biased, as this is our very own property. It is undoubtedly the most traditionally Cambodian of the many boutique hotels in Siem Reap, thoughtfully finished in local furnishings and handicrafts. 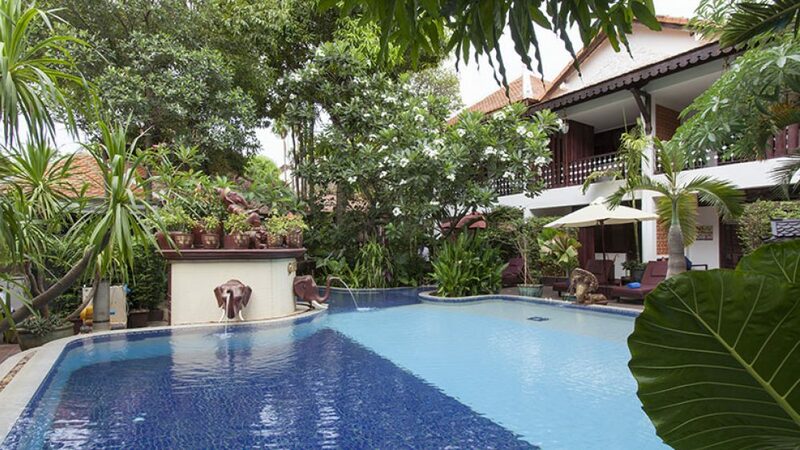 With just 39 rooms, it is very intimate and features lush gardens set around a landscaped pool. The Sita Spa is a blissful retreat after a long day and Reahoo Restaurant serves up traditional Khmer fare.